We look forward to welcoming you into our warm environment, with food so good you will swear you just stepped off of the train in Tokyo. If you are reading this description, please take note that we will only hold your reservation for 15 minutes. After that, you forfeit your reservation. Our apologies for this, we can not hold tables past 15 minutes as this does not help with our other wait times. Thank you for your participation and understanding in this. Amazing food, staff, and service. My boyfriend and I are obsessed with Genki. We get excited to go eat there, knowing it’s going to be perfect! We both agree that Genki is the best sushi we’ve ever had. We have been in Wilmington for 10 years and It was by far the best sushi we have had here. Recommend it to anyone. In terms of food and preparation, one of the better and more authentic Japanese restaurants I have visited in the US. Another was Yakatoria, Little Osaka in LA. Sushi: The chef seems to use a better grade of fish than other sushi shops. It is well made and presented nicely. Plenty of other dishes done well - Fried Fish in Vinegar with pickled onion, Shumai, Sakekama (my favorite) all were delicious. Love it and will be back. The best sushi in town! And the black cod miso soup is fantastic! Probably the best sushi restaurant in Wilmington. They even make their own soy sauce. Nice selection of fish for their sushi. Having grown up in Tokyo during the 60's my love of Japanese culture, especially their cuisine, is fondly remembered when I step through the door of Genki. The food is as authentic as the decor and Danny and Lana make you feel like family. Highly recommended. Absolutely loved our dining experience! Everyone was so nice and made sure we were taken care of the whole time! Its a weekly spot for me and my friends to relax, enjoy eachother and have amazing food and drink! 5 out of 5 stars for sure! Genki is our favorite Sushi spot in town. The staff is always so friendly, the food is always delicious and so fresh tasting, and it is all very reasonably priced. We go here at least once a week and have not been disappointed yet. It is a smaller restaurant and gets very busy at night so it helps to make reservations. Great find on our recent trip to Wilmington. We landed here mainly because it was near our hotel -- and because of the great customer reviews -- and were super happy with our meal. Highlights: the complementary little dishes of edamame with hijiki, pan fried veggie dumplings, and oddly enoug, the egg drop soup (pretty bland in most restaurants, but they step it up here in flavor and presentation. I'd have never thought to order it if I hadn't seen it on someone else's table and it looked great!). The sushi was very fresh tasting and generous in portions, if not terribly creative. Our party of 3 all ordered different mains, and the only one that was just so-so was one noodle dish (Yakisoba) that was a little too sweet for our taste. The ambience is charming and simple, and the servers were extremely friendly, efficient and attentive. They do a good pour of wine too :-). Would highly recommend, and I'll definitely go back to Genki next time I'm in Wilmington! Awesome food and excellent attentive staff. Relaxing atmosphere! Excellent as always. Danny and Lana have made it a great friendly atmosphere to eat! The food and service never disappoints! Always fresh and the only place we go for sushi. Loved it! Fast friendly service reasonably priced delicious sushi! My In-laws took us there for our 14th our anniversary, because we love the food. We were put at a table where customers and servers kept bumping into us which was very annoying. The food wasn’t the best that night, my food came out luke-warm. When we were headed out the door my poor mother in law tripped over the carpet at the door, of my husband wasn’t standing right there to break her fall she would’ve busted her head or broke her arm. I thought everyone saw it, I even told a waiter and he didn’t seem concerned as I told him someone needed to do something about that rug. Very disappointed and it just ruined the night. Will continue to come to this restaurant. Great food and friendly staff. This is one of my absolute favorite restaurants in Wilmington. 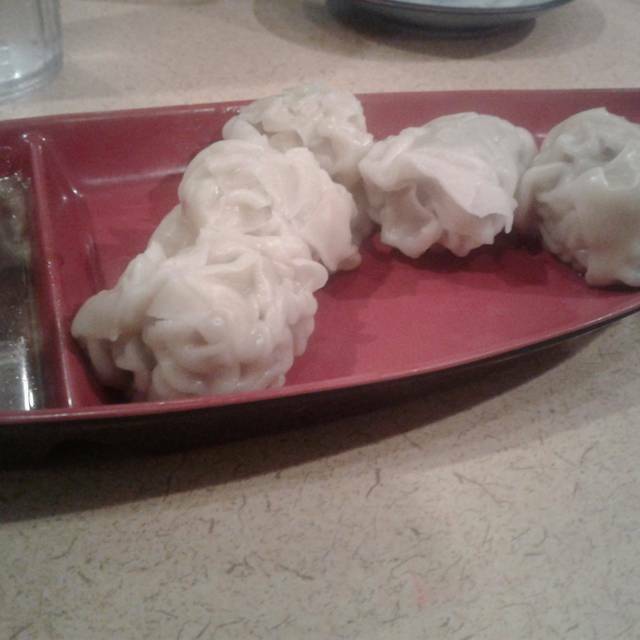 Their sushi is fantastic and perfectly made and they have the best shumai dumplings that I have ever had. The service is very attentive and at the end of the meal they give you a variety of homemade caramels. 12/10 would recommend. This is one of the best Japanese restaurants in Wilmington. 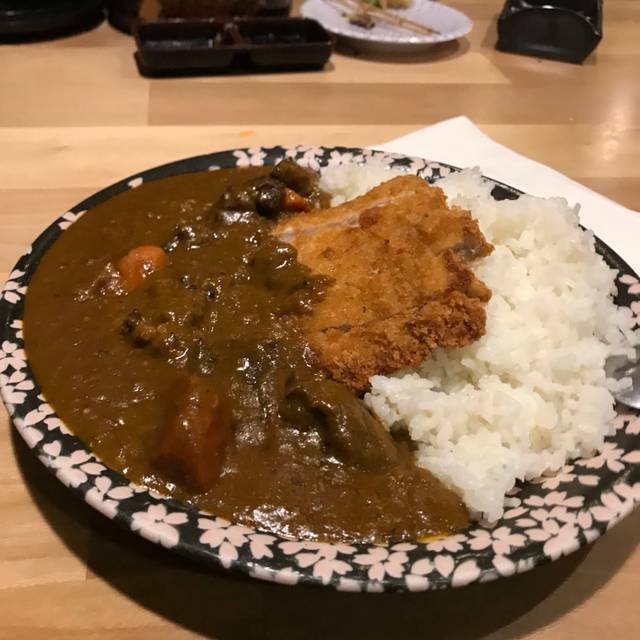 The ambience is like a comfortable small neighborhood restaurant where there are many regular customers who know the staff and chef. The food is fresh and offers unique fish and seafood options that one would expect in an authentic Japanese restaurant. This is why the prices are slightly higher but the quality is worthwhile. Make sure you make reservations, the restaurant is small so seating is limited. Many walk-ins had to wait for seats. Amazing food and great service. Sort of a hidden gem. I would definitely recommend! Full house Friday night. Dependably good food. Shrimp fried rice and sushi. I have never had a bad meal and the staff and chef Danny are the BEST! Server was knowledgeable and had great recommendations. The food is always fresh and amazing here. 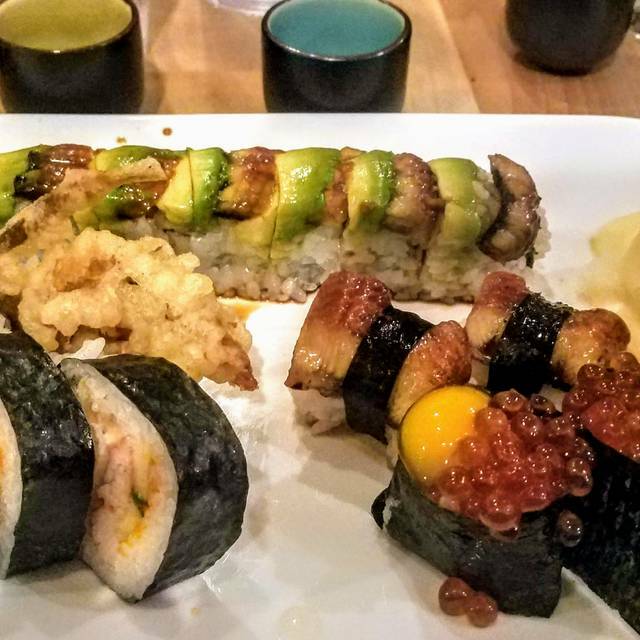 Our favorite sushi in Wilmington, hands down. 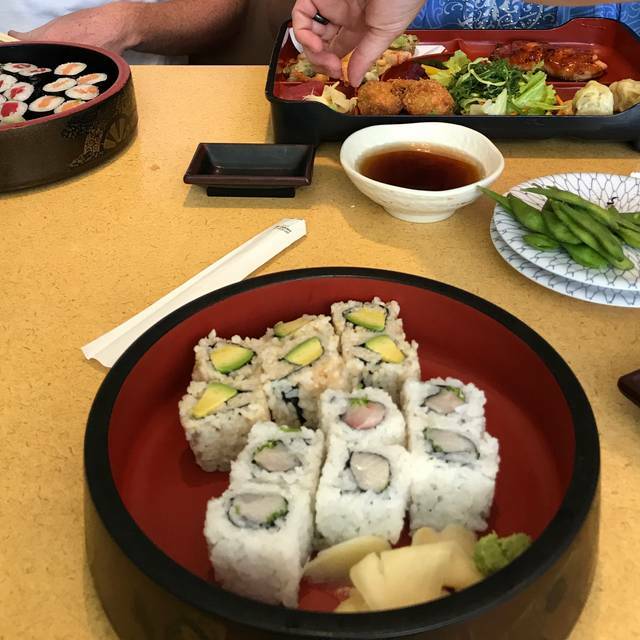 We loved our experience at Genki Sushi. Easily our favorite sushi spot in Wilmington. Fun atmosphere, so authentic! Highly recommend! Freshest sushi we’ve had in a long time. 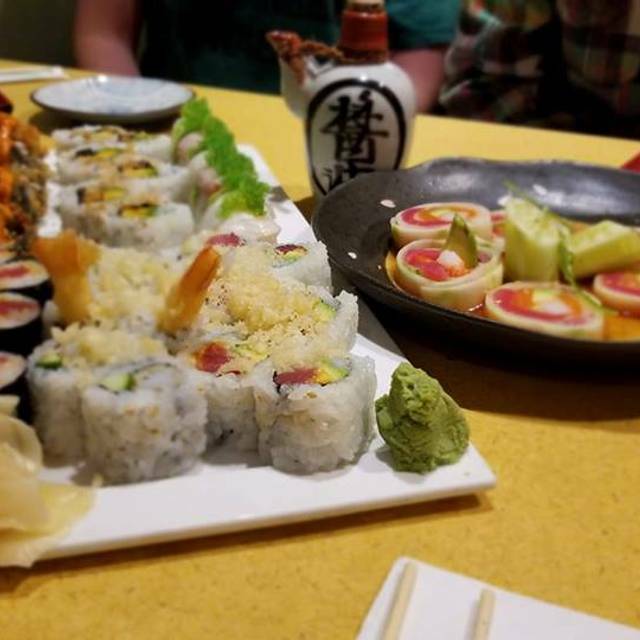 We were visiting our daughter at UNCW and she wanted sushi. Had never tried Genki before. We will always come back here from now on. It’s was DELICIOUS! Awesome! The food is amazing and the service is always great. Took my daughter here for her birthday, what a gret pick! Food was excellent, service was good. A little pricey for an everyday meal, perfect for any sushi loving special occasion. One of the only places we've been where splitting an entree wasn't seen as a big deal and they were actually very accommodating. To the point where they where they brought two plates of equal portion out to us. Oh and who can forget this place has the best sushi in town! I am so happy to find Genki Sushi! 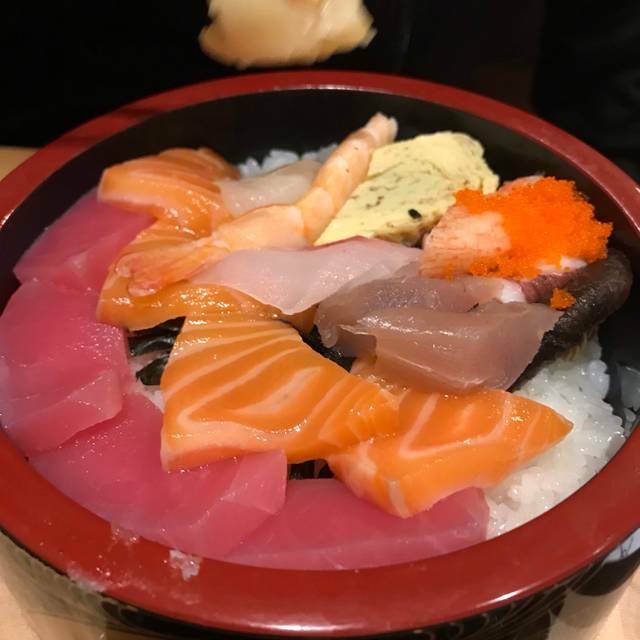 Newly relocated from NJ, I was looking for an authentic Japanese cuisine and found it here at Genki Sushi.... please keep up the freshness and wonderful menu. Best sushi in Wilmington!! Always an amazing dining experience all around. We’d eat there every night if we could.